Thrive+® to Thrive on Shark Tank's Season 9 Finale with its After-Alcohol Aid Product on Feb. 25th, 2018! Thrive+® is a product designed to help users thrive the day following alcohol consumption. 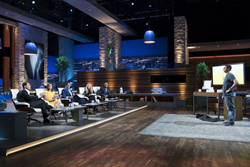 Thrive+® (pronounced thrive or thrive plus) will be appearing on Shark Tank's Season 9 Finale on Feb. 25th, 2018 at 9pm Central & Pacific with its alcohol-related health products. The company is hoping to thrive on Shark Tank and afterwards! The Thrive+® brand is growing rapidly and in other press releases has stated that its selling $4 million annually with plans to reach $25m annually by year's end. Thrive+® (pronounced thrive or thrive plus) recently announced in a blog post titled "Thrive+® to air on ABC’s Shark Tank" that it will be appearing on the season finale of Shark Tank Season 9. A few days later the startup described in a separate blog post the road it had to take to thrive on shark tank and get prepared for both the filming and aftermath of appearing on the show. Thrive+® After-Alcohol Aid works primarily by 1) reducing short-term alcohol withdrawal and 2) giving your liver the enzymes it needs to process alcohol and its other toxic by-products. Thrive+® ORS (short of "oral rehydration solution) works primarily by optimizing the sodium-glucose co-transport system for rapid rehydration. In a human study conducted for Thrive+® After-Alcohol Aid, users reported an average of a 50 percentage point reduction in next day symptoms. In a human study conducted for the Thrive+® ORS formula, it was reported that ORS rehydrates as effectively an an IV drip and is superior to using an IV in all cases except loss of consciousness or vomiting. Used together, the Thrive+® system is very effective for mitigating alcohol's negative effects–even those felt the next day. Thrive+®'s products are currently classified as dietary supplements, however, the company has plans to develop an anti-alcoholism drug in the future. Thrive+® was founded by a team at Princeton University and includes two Princeton biotech professors on its scientific advisory board as well as psychologist specializing in alcohol addiction. The way Thrive+® After-Alcohol Aid works to reduce short-term alcohol could potentially put users as less risk for developing alcohol addiction. The Thrive+® brand is growing rapidly and in other press releases has stated that its selling $4 million annually with plans to reach $25m annually by year's end. The company's products are mainly sold through its website and through Amazon.com. All of this leads up to an exciting appearance on the season finale of Shark Tank Season 9! 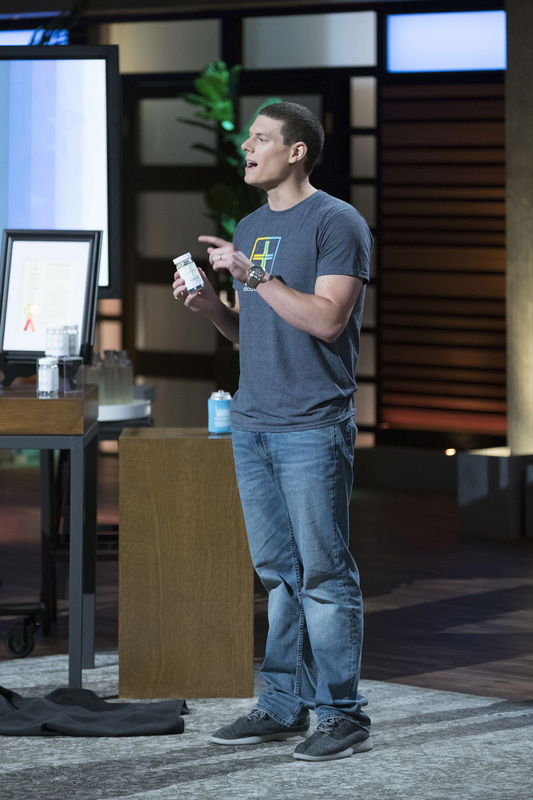 Brooks Powell of Thrive Plus pitching on ABC's Shark Tank.Brooks Powell of Thrive Plus pitching on ABC's Shark Tank. Guest shark, Bethenny Frankel looking at Thrive Plus on Shark Tank.Guest shark, Bethenny Frankel looking at Thrive Plus on Shark Tank and Thrive Plus founder Brooks Powell pitches to her. 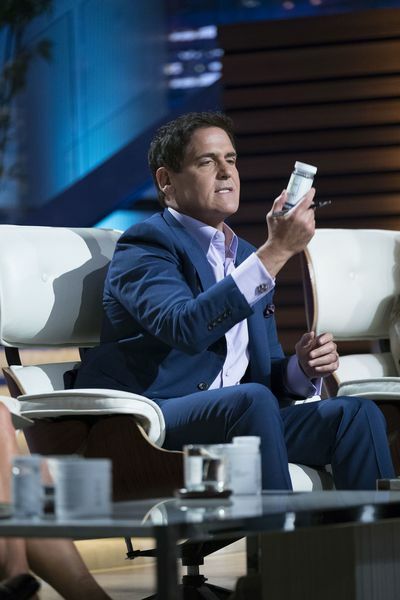 Mark Cuban of ABC's Shark Tank examining a bottle of Thrive Plus (Thrive+®).Mark Cuban of ABC's Shark Tank examining a bottle of Thrive Plus (Thrive+®). 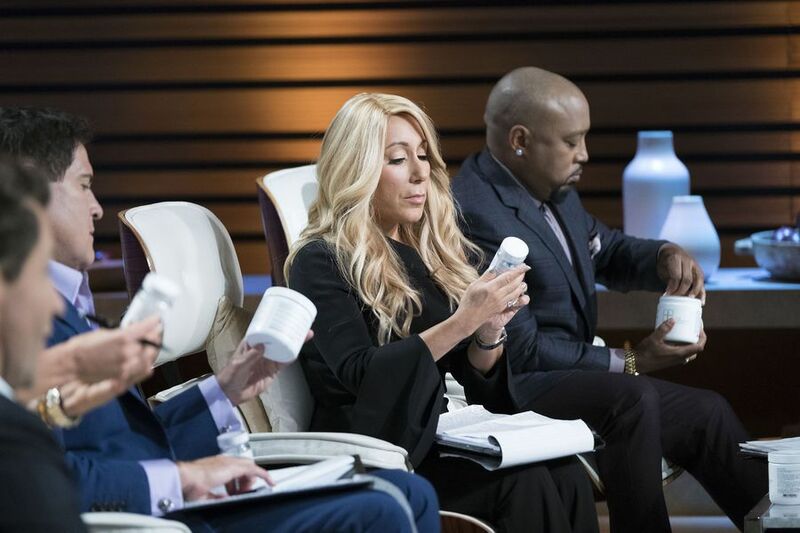 Shark Tank star, Lori Greiner, looking at a bottle of Thrive Plus.Shark Tank star, Lori Greiner, looking at a bottle of Thrive Plus. 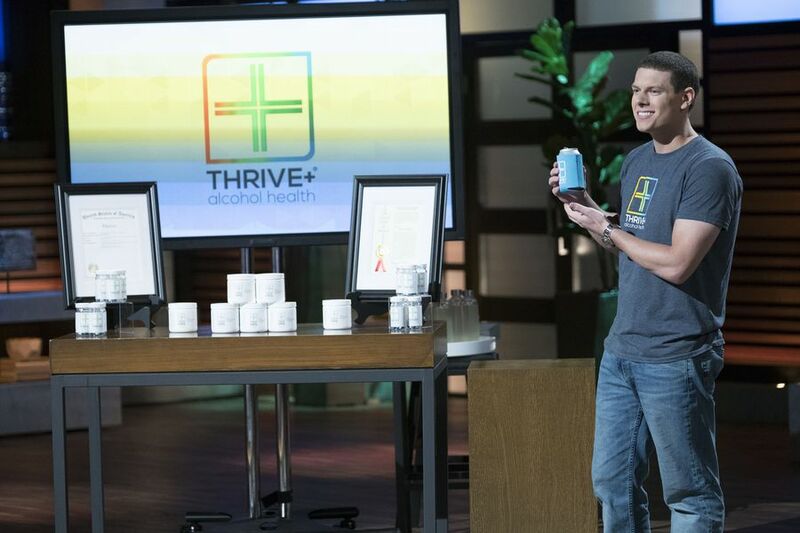 Brooks Powell pitches Thrive+® (pronounced thrive or thrive plus) on ABC's Shark Tank.Thrive+'s founder on the set of Shark Tank pitching his After-Alcohol Aid product.